Did you know that casinos have several roulette variations? This guide focuses on the three major roulette variants played around the world: European roulette, American roulette, and French roulette. European roulette is the game made famous in Monte Carlo, which is played in European, Asian, and Latin American casinos. American roulette was made famous in Las Vegas and is played in North America. French roulette is popular in France, Germany, and Eastern Europe, where it often is played by high rollers. Knowing the different rules of roulette allows online gamblers to pick the best variation for their gaming needs. Understanding the difference in single-zero and double-zero roulette is pivotal. Knowing terms like “En Prison” and “La Partage” helps a player find the best odds. If you play French Roulette, understanding the exotic-sounding betting option in that version help you max out the bet limits, so high stakes gamblers find the biggest adrenaline rush possible. European Roulette also is known as single zero roulette. The European Roulette Wheel has a single zero pocket (0) on the wheel. 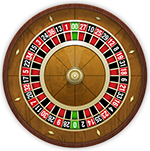 Zero roulette can be played in online zeroes under the name “European Roulette”. Because the zero pocket is an instant loss for most bets in roulette, one strategy to win more often at roulette is to find single zero roulette games online. Also, “La Partage” and “En Prison” rules halve the house edge from 2.70% to 1.35%, if you make the even-money wagers. A common version of European Roulette is called “French Roulette“. The French Roulette wheel is divided into different betting options, which have French-sounding names like “voisins du zero”, “orphelins”, and “le tiers du cylindre”. These wagers have the same house edge as European Roulette, but certain French Roulette bets called the full/maximum bet allow high rollers to max out their betting potential. American Roulette is the version played in North American casinos. The American roulette wheel has two zero slots (0 and 00) and sometimes is called double-zero roulette. Double zero roulette was the original roulette rule, but having two pockets that cause most bets to lose doubles the house edge. The payouts are the same on American Roulette, so many players might not realize the difference in European and American Roulette. Mini Roulette is a variation played on a 13-number wheel, including the numbers 1 through 12 and a single zero. 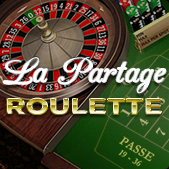 Mini Roulette is available on Playtech casinos in the “Arcade Games” section. The Mini Roulette table layout is much different because its outside bets include 1-6, 7-12, and 4-9. Mini Roulette strategy is much different, too. In Mini Roulette, any bets which do not cover zero lose only half the bet when the ball lands on the 0 pocket. For that reason, players should never bet on any wagering option which includes the zero, because 0-bets have twice the house edge in Mini Roulette. The strategy here is to make even-money bets, single bets, split bets, row bets, square bets, and column bets which do not contain a zero. Marvel Roulette is a game from Playtech inspired by Marvel Comics. 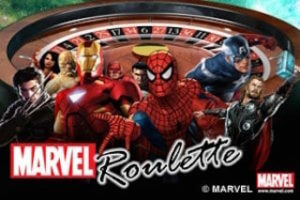 The Marvel Roulette online game features famous characters like Spider-Man, Captain America, Iron Man, The Hulk, and Wolverine. Instead of a 00 pocket, the Marvel Roulette wheel contains the Marvel Roulette bonus pocket. This activates a bonus game which offers special prizes for the player — much like a slot machine’s bonus mode. Double Ball Roulette is a variation of the game first played at the Tropicana Casino in Las Vegas in 2013. Tropicana’s Double Ball Roulette used compressed air to shoot out two balls almost simultaneously. That version was double zero roulette, but a Double Ball Roulette online version is available in Internet casinos. Double Ball Roulette free play versions are available online, too. Playing with two balls is like playing multi-spin roulette, multi-hand video poker, or multi-spin slot machines. The player has two chances to win on each spin of the roulette wheel. This doubles the excitement by offering two ways to win each time. 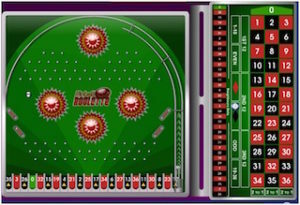 Pinball Roulette is a variation found at online casinos which use IGT Wagerworks software. Playing Pinball Roulette online offers a game with both European and French Roulette bets and the action of a pinball machine. The Pinball Roulette machine is easy to use, as you shoot out the virtual pinball as a table of numbers rotates at the bottom of the screen. Pinball Roulette free-play versions exist online. These games provide the exact same game experience as real money Pinball Roulette, without expensive losses as you learn how to play. If you want to test it out before betting real money, free Pinball Roulette is available on IGT sites like William Hill and Betfair. 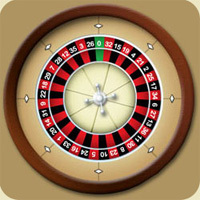 Roulette Royale is a mobile gaming app from Mywavia Studios. 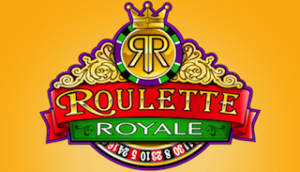 A Roulette Royale free casino version is available for download for Android devices on Google Play and iPhone/iPad on the iTunes Apps Store. Some players like to use Roulette Royale tricks to gain an advantage, so read below to learn about the hacks and cheat codes available to players. While Roulette Royale is a free gaming application, it does allow in-game purchases. Roulette Royale cheats sometimes include free casino hacks (like #Z2SJA9XVX) for Android, IOS, and Windows Phone. Some unlock special challenges in games, while others in-app purchases. Though many Roulette Royale Cheats exist online, we do not recommend using cheat codes to unlock in-app purchases for free. Rapid Roulette, also known as electronic roulette, is electronic roulette game with live dealers, but which is played using a Rapid Roulette betting terminal. 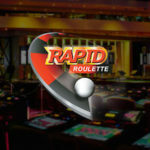 You’ve probably seen these in Las Vegas; the Rapid Roulette interface looks like a tablet computer. While the game can be played worldwide, Caesars Entertainment casinos offer a variation of Rapid Roulette in Vegas. Caesars Palace, Paris Las Vegas, and Monte Carlo all have Rapid Roulette. This game offers players an easier way to make bets without worrying about spills and cigarette stains on the felt. Most places have a minimum bet of $2.50 or $5.00, but you can divide your bet between various numbers with 50-cent wagers. Max bets for high rollers are $100 per wager in most casinos. The previous history offers the results of the last 20 spins, though players should understand that patterns in such tiny samples offer no insight into Rapid Roulette strategy. The best bet is to search for European or French roulette versions with la partage rules, then place even-money wagers. This combination makes the game one of the most popular in the casino because players can play high-risk bets for big rewards or even-money bets for smaller winnings. Brick-and-mortar roulette is played at a leisurely pace, though online roulette can be played at a more rapid pace. Live dealer roulette is available for those who want the live spinning wheel experience on their computer screen. Much of the rules include where to place bets. European Roulette House Edge: The house edge on European Roulette or French Roulette is 2.70%. The house edge on European Roulette using “la partage” or “en prison” rules is 1.35% — comparable to baccarat or craps. American Roulette House Edge: The house edge on American Roulette is 5.26%. In the rare case that you find American Roulette using “la partage” or “en prison rules”, the house edge is 2.63%, slightly better than basic European Roulette. Atlantic City casinos, which use Rapid Roulette, use these rules. La Partage Rule: In French, “La Partage” means “of the parts” or, literally, “halves”. This rule gives the house only half of the payout when the ball lands on the 0 pocket. This halves the house edge from 2.70% to 1.35% in European Roulette. La Partage rules only work on even-money bets, so only bet black/red, high/low, or even/odd when la partage rules are in effect. En Prison Rule: “En Prison” means “imprisonment” in French. Once again, when the ball lands on the 0 pocket, an even-money bet is “imprisoned” for the next spin. In effect, it is dependent on the outcome of the next roll. This also halves the house edge from 2.7% to 1.35%, though it is a bit more complicated than the option above. Only make even-money bets when this rule is in effect. Inside bets have higher payouts, but lower odds of winning the wager. They are placed inside the number grid on the layout, giving them their name. Examples of inside bets include straight bets, split bets, street bets, corner bets, six-line bets, basket bets, and top-line bets. Outside bets have lower payouts but have higher odds of winning the wager. They are placed outside the number grid and contain more winning numbers. Examples of outside bets include even-money bets like high/low, black/red, or even/odd. Dozen bets, snake bets, and column bets are also outside bets. Same Number Wins Twice: Players might make two or more wagers which pay out on a given hand because both contain the winning number. For instance, the player might bet on the “7”, but also make a column bet on the first column, which contains the “7”. To begin a hand of roulette, players make bets by placing chips on the proper spot on the table layout. Players have the option to make multiple bets per spin. Once bets are placed, the croupier (dealer) sets the roulette ball to spinning around the wheel. When the ball drops into the wheel, the croupier calls out “No more bets”. The ball eventually comes to a stop in a single pocket, which is labeled with a number between 0 and 36. Whichever pocket contains the ball is the winning number. After the ball lands, the croupier clears away all the losing bets first. What is left are the wagers the casino lost. These wagers are paid out next. If a player made either an inside bet or outside bet which contained that number, then the player is paid out according to the odds of that bet. The winning number corresponds to many bet combinations. Wait patiently while other players are paid. In online roulette, the payouts are instantaneous. The process begins anew. Players can walk away from the table after any round of betting. In an online or live dealer casino, you simply click the button to leave the game. What Is The Roulette Strategy That Works? No roulette strategy assures success, but some bets increase your chances of winning or increase your entertainment. Below you will find the top 5 roulette bets to remember. The best online casinos offer these same rules, “La Partage” or “En Prison” rules, usually on European Roulette or French Roulette. You won’t find special house rules everywhere, though. Most wagers in roulette have the same expected value, regardless of odds or payouts, so it does not matter which wager you make. One exception is the top-line bet (0-00-1-2-3) in American Roulette, which has a lower expected value. Never make the top-line bet. Even-Money Bets: All new roulette players need to learn what an even-money bet is. These pay 1-to-1 when you win. While that isn’t a huge payout, these are the bets which the “La Partage” and “En Prison” rules help. Even-money bets include black-or-red, even-or-odd, and high-or-low. Combination Bets: Many players make combination bets, placing a red/black bet to a column bet of equal sizes. Notice that the top column (3-6-9) has more reds than blacks, so you have a slightly better chance to double-up when placing this bet. If you lose on the column bet, you still have a 47% chance of hitting a red. If you prefer black, then make a black bet with the middle column. Straight Bet: If you were to walk up to a roulette wheel and wanted the biggest payout possible, you wager the straight bet. This is a single-number bet with a 35 to 1 payout. The odds that you’ll hit this are 37 to 1 in European/French Roulette and 38 to 1 in American Roulette, so you’ll probably lose. What makes the straight bet better than big payout bets in other games, though, is the fact the expected value doesn’t change on the wagers with big payouts in roulette. Receiving a chance at a higher payout on a straight bet doesn’t increase the house edge. Split Bet: Some players want high payouts, but betting the straight bet leaves them bored or disappointed for long stretches. Make the split bet, which halves the number of spins you would expect to get a high payout. While the split bet doesn’t pay as much as the straight bet, you can expect double the win rate. Full/Maximum Bet: In French Roulette, high rollers should learn the full/maximum bet. It is actually a series of 12 bets, which includes every possible way you could wager on one number: straight, split, street, corner, and so on. Also known as a full/complete bet, the player calls these out by calling out a number (example: 11) and says “11 to the maximum”. This bet maxes out the bet limits, which allows the high-stakes gambler to max out their stake. What Is The Highest Paying Roulette Bet? To make this single-number wager, simply place your chips on the number you want to win. The payout is 35 to 1 on the straight bet. In French Roulette, read the above section on the full/maximum bet for the highest paying wager as it differs a bit from other games. 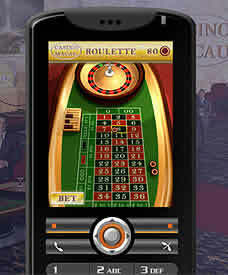 Online roulette apps have allowed an expansion of the mobile roulette casino market in the past 5 years. These days, almost as many players use roulette mobile apps as use desktop computers. Read mobile casino reviews on our site to learn about the latest mobile roulette free bonuses that are available. Using either Flash or HTML5 technology, lots of casinos offer mobile roulette. The best mobile casinos have free bonuses for new players, whether it is the mobile deposit bonus or a no-deposit bonus. As the mobile casino market expands, the game-specific mobile roulette bonuses offered are every bit as good as online roulette bonuses. Live dealer roulette is the latest way to play for real money online. Real life croupiers spin brick-and-mortar roulette wheels as the casino streams the game live to your computer in real time. Live dealer roulette strategy is no different than it would be in Las Vegas, Atlantic City, Macau, or Monte Carlo. These versions of European, French, and American Roulette are the same games, but they are streamed to your computer screen. BestRoulette.net reviews all of the best live roulette casinos. Live dealer casinos use software from Evolution Gaming, Global Gaming Labs, Extreme Live Gaming, or Vivo. The best live roulette online is going to combine attractive and friendly croupiers, advanced streaming technology, a wide selection of roulette variants, and roulette-specific bonuses. Our reviews focus on all aspects of the live dealer gaming experience, so you’ll have the best information possible when choosing a site. Remember: When you play roulette online for real money, what really matters is how the odds are stacked. The house edge plays an important role in regards to your potential to win. 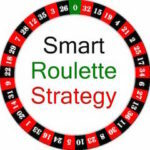 Single zero roulette in the form of European Roulette or French Roulette is your best option. If you can find “La Partage” or “En Prison” rules, it’s even better. Remember to try out new roulette game variations by playing online roulette free-play versions. Most sites BestRoulette.net discusses offer a free version. Live dealer roulette offers the most entertainment because it provides a real-life casino experience in the privacy of your own home. Choose these best variations of the game for the best roulette experience on the Internet.